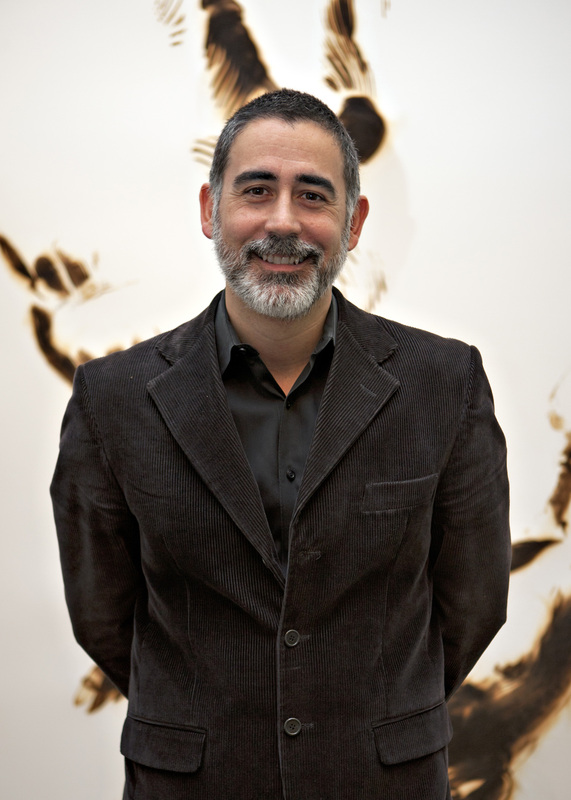 Bellevue Art Museum’s, Stefano Catalani will speak about BAM’s recent projects and collaborations with artists who work in fiber at the upcoming Surface Matters Symposium on March 3, 2012. Catalani’s talk will focus on the selected works and installations taking us on the journey from their inception—in the artist’s intention—to their realization, coming to life in their final presentation in the museum galleries. An Italian native, Catalani relocated to Seattle in 2001. His classics and humanities studies provided him with a strong theoretical background in art history and philosophy. In 2005, he joined the Bellevue Arts Museum as Curator and in 2010 was appointed by Bellevue Arts Museum as the Director of Curatorial Affairs/Artistic Dirctor. Catalani focuses on “craft as a cultural signifier,” stressing the social implications of craft. Surface Matters Symposium tickets are going fast. Make sure you get yours! Want to know the latest about the Surface Matters Symposium? Consider signing up for email notification. (We won’t share or sell your email address.) And don’t forget to “like” us on Facebook. Registration for Ann Johnston’s 2012 workshops has opened. 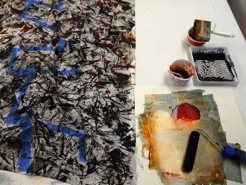 Ann Johnston will hold a series of fabric dyeing and quilt design workshops in her Lake Oswego studio in 2012. To ensure maximum individualized attention, class size will be limited to four participants. Registration opens January 10, 2012. Registration closes for all workshops February 10, 2012. An introduction to all the basic surface design techniques with thick and thin dye, using brushes & rollers, stamps & blocks, stencils & screens. An exploration of dyeing a wide variety of silks using methods such as painting, printing and immersion with soda ash, citric aid and vinegar, including the selective removal of sericin. Some experience with Procion MX dyes required. Is there a particular texture or pattern or theme or color that you want to use for a quilt or series of quilts? Consider it a puzzle to solve in this workshop. Some experience with Procion MX dyes required. Bring a pile of your own hand-dyed fabrics to build on the ideas that prompted dyeing it or on ideas that are suggested to you by the fabric. Gail Harker’s Online Color Studies to begin January 12! Twenty-six students from Wisconsin, Michigan, California, and several cities in Washington to British Columbia, and Australia registered for Gail Harker Creative Studies Center’s first-ever online course, Level 1 Color Studies. Many more students expressed interest in online Color Studies but didn’t want to start the first six-week segment during the holidays, so Gail is offering another Level 1 Online Color Studies course starting January 12. Level 1 Color Studies is a hands-on course that teaches students about color theory. It also gives them guidance, practical experience, and resources on how to use color in their work – no matter what media an artist uses. Harker helps students understand color and gives them a hands-on foundation they can use throughout their work. Watch the video to see what Gail teaches in the three six-week sessions, what students can do with their sketchbooks, and what they may achieve through the use of color mixing. Click here to see the brochure. Level 1 Color studies is just the first of many courses the Gail Harker Creative Studies Center plans to offer, said Harker. In 2012, she plans to debut several shorter courses, including one on Sketchbooks. 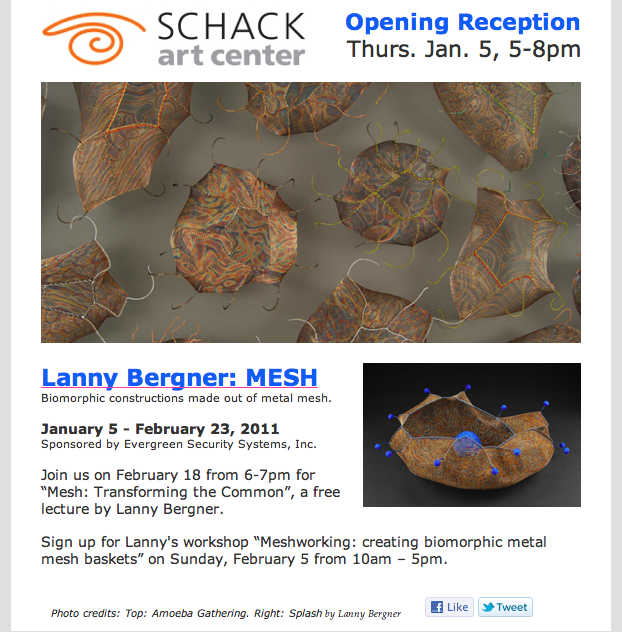 Lanny Bergner Brings Ethereal Quality to Mundane Materials. Register Today For Surface Matters March 3-4 – Space Is Limited! We know it is earlier than planned but we figured that since we got all the bugs out of it (we hope! ), why wait. Feel free to follow the links in the sidebar to purchase tickets to the symposium and to register for the SDA member exhibit.